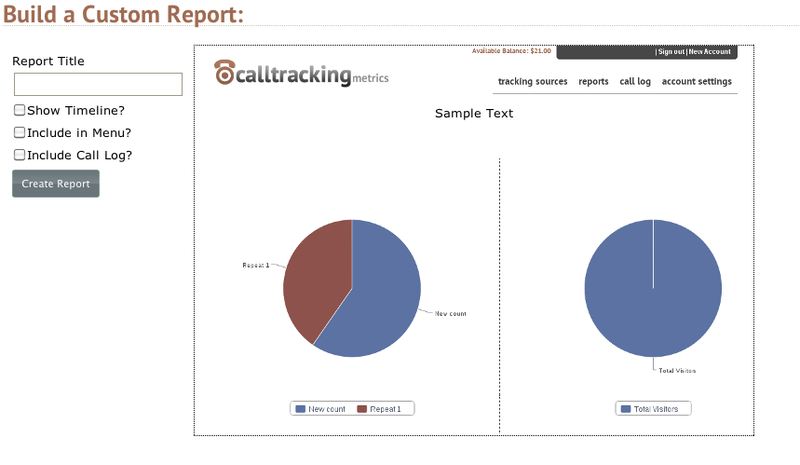 Call Tracking Metrics now comes with custom reports built in. For no additional fees we provide you with easy and powerful reporting features. 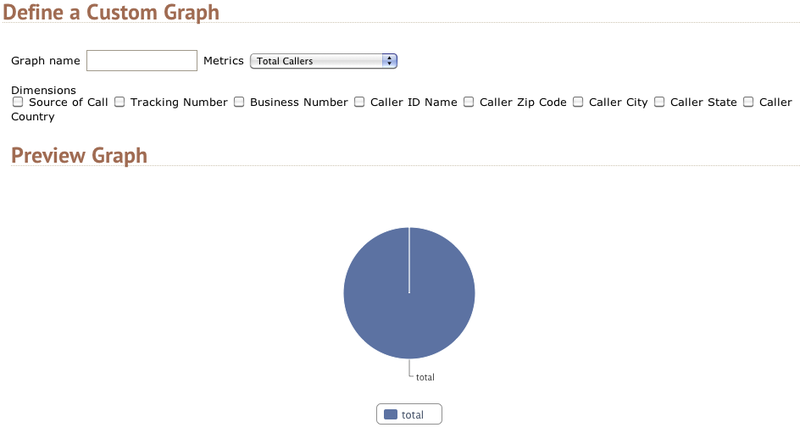 You can build your own reports to expose the specific dimensions and metrics of your choosing. Each account will continue to expose the default “overview” report, but now you can create and manage as many reports as you like. To create a new report you’ll see a new menu item under the reports tab. From that screen you’ll be able to click on the “add new report” link. Include Call Log. This will include the familiar list of all calls at the bottom of the report. Once you choose the global options from your report and give it a name, you can start to add some customized graphs to the report. From here, you’ll be able to configure, the metrics and dimensions of the graph. You can use any number of dimensions and one metric to create some pretty interesting reports. Once you have created a new custom report you can share that with your clients by either giving them access to your account as a report viewer, or by simply clicking the download link to get a PDF of the report.